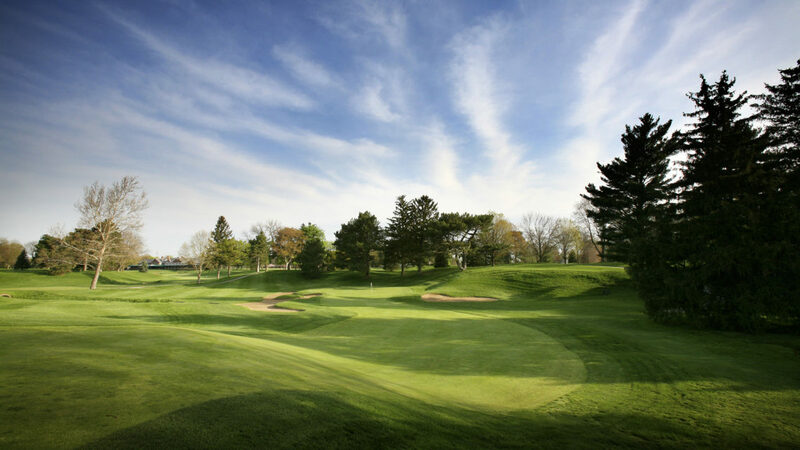 TOLEDO, Ohio (April 7, 2019) – When you think about the best golf courses in the state of Ohio, Inverness Club must rank in the top three of the Buckeye state’s best. Simply stated, Inverness Club is special, filled with history, and is a true American treasure. Inverness Club – the site of four U.S. 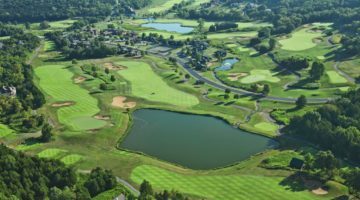 Opens, two PGA Championships, and two U.S. Senior Opens – is steeped in so much golf history that the many memorable pictures, golf clubs, scorecards, and newspaper clippings associated with past events are decoratively displayed on the interior walls of the clubhouse and the pro shop. While it’s a private club, Inverness Club’s history is worth sharing with the general public. 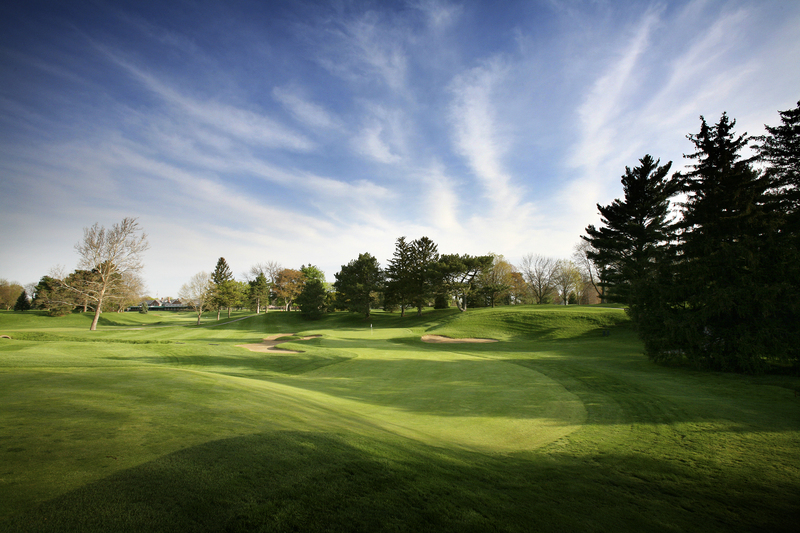 Inverness Club is as enlightening to visit as it is enjoyable to play. 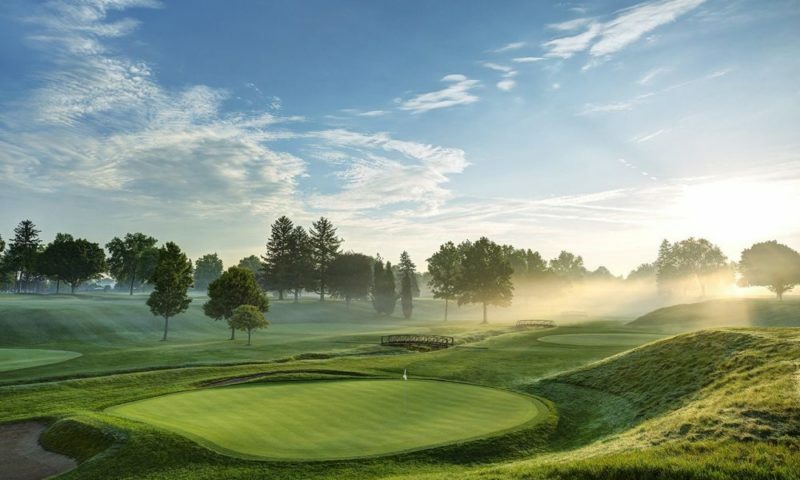 While some changes have been made to the course over the years, Inverness Club has stood the test of time and remains as relevant and competitive today as it was when it hosted its first major championship – the 1920 U.S. Open. The most recent national championship that Inverness Club hosted was the 2011 U.S. Senior Open – won by Olin Browne. The next two major events on Inverness Club’s schedule are the 2019 U.S. Junior Amateur and the LPGA’s Solheim Cup in 2021. It seems that golf’s best players have come to Inverness Club at least once in their careers, some of whom have also emerged victorious. As a course, Inverness Club demands the best and it rewards the best, thanks to legendary golf course architect Donald Ross. Inverness Club is a paradise for par 4s, as it opens with a quartet of two-shotters in the first five holes and closes with five consecutive par 4s. The course has only two par 5s and just a trio of par 3s. To add to the Inverness Club experience, the club hired a new superintendent in March 2017 to help take a great golf course and make it better. Enter John Zimmers, formerly the superintendent at Oakmont CC in Pennsylvania. 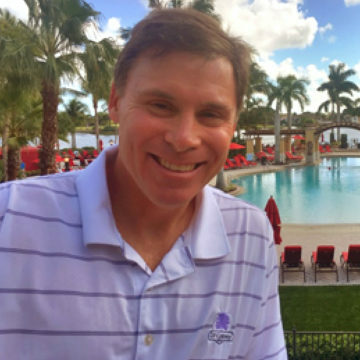 Zimmers is now in the process of building a staff which will implement his ideas and the big-picture vision of the leadership team at Inverness Club. 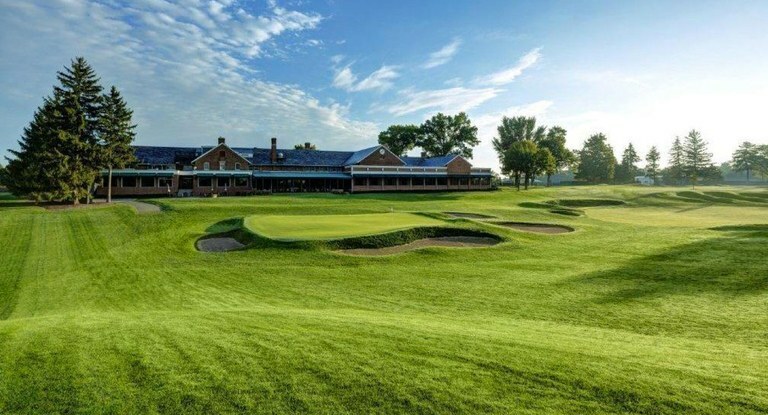 As for why he decided to leave Oakmont, which is one of America’s finest country clubs, it was a simple decision. For the most part, Inverness is a fader’s paradise. Also, while the greens may be considered small, that provides ample opportunities for players to save par from any greenside location, if they can figure out the many undulations. Three of the game’s more memorable major championship moments have taken place at Inverness Club and two of them involved Australian Greg Norman. For instance, at the 1979 U.S. Open, competitors Lon Hinkle and Chi Chi Rodriguez took a shortcut with their tee shots on the par 5 8th hole by playing up the 17th fairway in order to reduce the length of the eighth hole. By the beginning of the second round, USGA officials had planted a pine tree – dubbed Hinkle’s Tree – to the left of the tee in the gap where Hinkle and Rodriguez were hitting their tee shots. The USGA’s effort failed, as both players were able to continue to hit their tee shots around the tree and up the 17th fairway. The tree is now roughly 40 feet high and the gap has been filled: mission accomplished, albeit nearly 40 years later. In the 1986 PGA Championship, Bob Tway defeated Norman when he holed a bunker shot from one of the front greenside bunkers at the 18th. A worldwide television audience witnessed Tway’s elation and Norman’s despair when Tway’s ball fell into the cup. Norman’s long effort from just off the green to tie Tway was unsuccessful, giving Tway the Wanamaker Trophy. In 1993, Paul Azinger won the Wanamaker Trophy on the second hole of a sudden-death playoff when Norman bogeyed the par 4 10th after Azinger secured a par on the hole. One of the photo hot-spots at Inverness Club is inside the clubhouse – next to Hagen’s Clock. Back in 1920, Walter Hagen passed the hat amongst his golfing peers in order to raise enough money to pay for a big grandfather clock which was presented to the membership of Inverness Club as a thank you for allowing the professionals to use the club’s locker room to get ready for tournament play. Prior to that, golf professionals were never allowed inside the clubhouse locker rooms at major golf tournaments. One of the biggest stories at Inverness Club is its caddie program. It’s second to none. When you play golf at Inverness Club, you must use a club caddie who has been trained in golf etiquette, rules, and decorum. The caddies are teenagers from the Toledo area. At Inverness Club, the pro shop is located a few steps away from the first tee, which is convenient for head golf professional Derek Brody and his staff to step outside and greet the members each day as they embark upon another round of golf at one of America’s true national treasures – Inverness Club.